Do you have an account with ICICI Bank? ICICI Bank is one of the leading commercial banks in the private banking sector of India. It offers a wide range of banking services. ICICI bank also gives high efforts to satisfy the customers offering excellent customer services. While using the debit card, you must be cautious! You may forget the PIN and enter wrong PIN more than thrice while using the card. After repeating the mistake, the card will get automatically blocked. You have to wait for a certain number of days or inform the bank and request to issue a new PIN for the card. You have to unblock the blocked card to start using it again. Do you know how to unblock ICICI debit card online? Yes, you don't need to visit the bank and request to unblock the card. You can unblock by self! Step 1: If you use a Smartphone, download iMobile App on your phone from the App Store. Go through the steps for activating iMobile App on your device after installation. Tap on the app icon to open the app activation. Step 2: Scroll to find 'Smartkeys & Services' option after accessing the app. 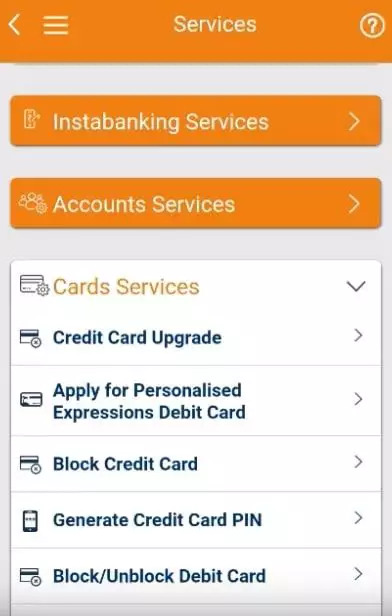 Tap on 'Card Services' option. 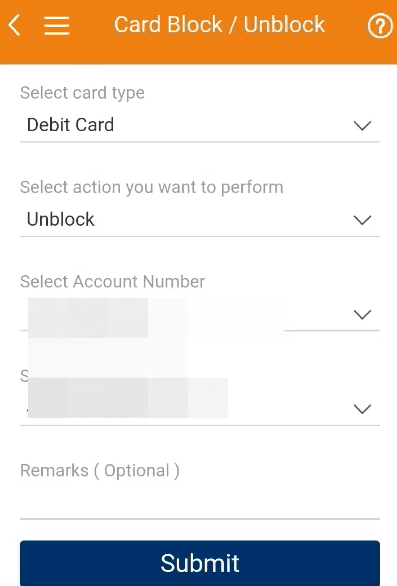 Step 3: You have to tap on 'Block/Unblock Debit Card' option available in the 'Card Services'. Select 'Card Type' in the option. Step 4: The next step is to 'Select Action You Want to Perform,' i.e. 'Unblock'. 'Select Account Number' linked with the Debit Card. Select the debit card number in 'Select Card Number' option. In the 'Remarks' section, you have to fill the section with the information stating the reason to unblock the card. After filling up the required sections, you have to tap on 'Submit' button. You will receive SMS on your registered mobile number stating successful unblocking of the blocked debit card. You can follow the steps to unblock the blocked debit card if you lost the debit card and blocked it but found it later. Following the simple steps, you can unblock the card. You don’t need to visit the bank and waste your time. If after following the steps you failed to unblock the card, contact the customer care services or the bank. Unblocking the card via the iMobile app is a matter of a few minutes!